Very nice! 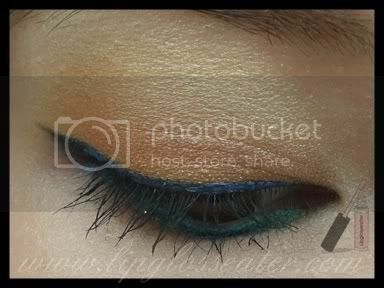 I really like that the eyelids are muted and the blue and green eyeliners give your eyes a nice pop! Uber gawjus look. :) I love how the eyeliner makes your eyes twinkle. Awesome MA and sweet model. I'm loving that blue metallic liner! 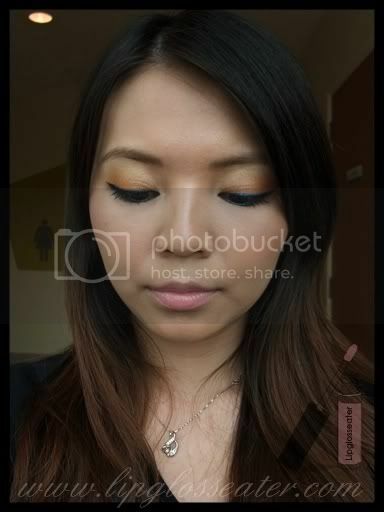 Must try to replicate this look someday, I think she did an amazing job! I'd practice a bit before the liquidlasts, as their name implies, they're not going anywhere once applied! what an awesome look, the focus is on the eyes but I also LOVE the cheeks. that's a great makeover and I love the outcome! the eyeliner is too pretty for words! :) you look gorgeous! she's done a wonderful job! You look gorgeous! 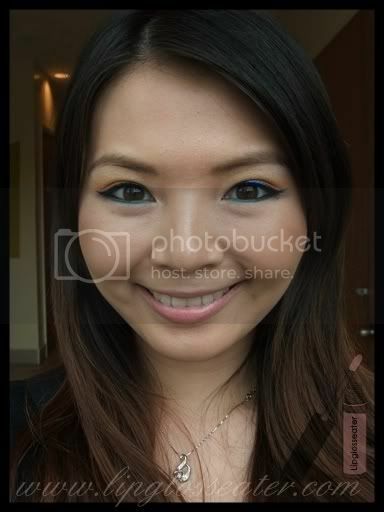 I love the blue liner, I agree that it makes your eyes pop! Waaaoooww! Joanne does it again! I neeed to see this girl! I think I'm going to invest in this Pearl CCB aswell. Sounds like a brilliant highlight. em: thanks!! I'm loving the cheek colors too... though i find that The Perfect Cheek is a little chalky! Didcha get anything from this collection? I like this look!!! Man, wish I have that skill to draw such pretty eyeliner. This is nice!! You look so gorgeous!! hi! im planning to buy a mac brow set but havin a hard time finding the right shade for me. im shooting for a blondish/light brownish look. which one do u recommend? beguille or girl boy? thanks!